Global lending outside the USA has hit a 7-year low, says the BIS (Bank for International Settlements), an international financial institution owned by the central banks of the world’s major economies. The stock of dollar-denominated lending to emerging markets – a measure of liquidity conditions worldwide – declined to $3.2 trillion at the end of March 2016, a fall of $137 billion compared to March 2015. However, this descending path may have reversed in recent months, the BIS adds, thanks to increased emerging market bond issuance and the rebound in capital inflows during the last quarter ending in June 2016. Euro loans to borrowers outside the Eurozone declined for the first time in two years, partly reflecting the renewed weakness of the EU’s banking sector as several financial institution cut back on their international lending activities. However, with bond yields at record-low levels, bond issuance grew, raising total euro credit to residents outside the Eurozone by 4.2% to $2.3 trillion, BIS informed. The move towards the euro as a financing currency is continuing apace as the divergence in monetary policy between the United States and the Eurozone expanded the gap between US and euro yields. 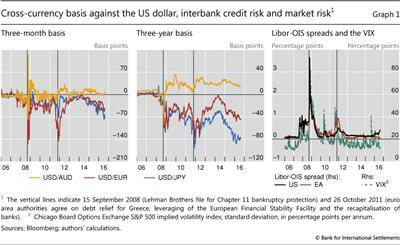 This means that American commercial enterprises can get dollar funding by using euro debts and then swapping them back into their own currency (dollars), although this adds to the pressures and strains in the cross-currency swap market, the BIS explained. During the first six months of this year, overall worldwide debt issuance rebounded across both the advanced and emerging economies, especially during the April-to-June period. By the end of June, the level of debt securities was 2.1% greater than it had been in June 2015. Despite an overall weak global credit market, some countries – namely Canada, China and some other Asian economies – showed abnormally high credit growth relative to their GDP (gross domestic product) sizes. The BIS sees this as glaring alarm bells warning of the increased risk of financial overheating and distress in the months and perhaps years ahead. Turkey, China, Canada and Brazil were picked out as nations that show the greatest risk in struggling to service their debts. The increase in property prices was unusually High in Portugal, Japan and Germany, but close to historical trend in the rest of the world. Is China heading for financial meltdown? A key gauge of credit vulnerability shows China is now three times over the danger threshold and has continued to worsen, in spite of pledges by Li Keqiang, China’s Premier, to wean his nation’s economy off debt-driven growth before the situation becomes uncontrollable. In its quarterly report, the BIS reported that China’s ‘credit-to-*GDP gap’ has reached a worrying 30.1%, the highest level ever, placing it altogether in a league of its own. It is also considerably higher than the scores recorded in 1997 during East Asia’s speculative boom or the US sub-prime bubble preceding the Lehman crisis. ** The GDP gap is an economy’s current GDP compared to its potential GDP. The credit-to-GP gap measures deviation from normal patterns within an economy, thus stripping out behavioural and cultural variations. Studies that have looked at previous banking crises across the world over the past half-century suggest that a score of more than 10 requires close and careful monitoring. Outstanding loans in China have hit $28 billion, which is about the same as the commercial banking systems of Japan and the United States combined. If China lost control of that lending the resulting shock would be felt across the world. Just corporate debt in China has reached 171% of GDP, a figure that is giving experts, investors and regulators the jitters. According to the BIS, there is enough evidence now for us to seriously worry about the health of the global financial system. Bond purchases by central banks and zero interest rates have left markets ultra-sensitive to the tiniest shifts in monetary policy – even rumours of a shift get everybody wondering whether to head for the hills. This Bloomberg video explains why the Chinese economy is so hard to fix.